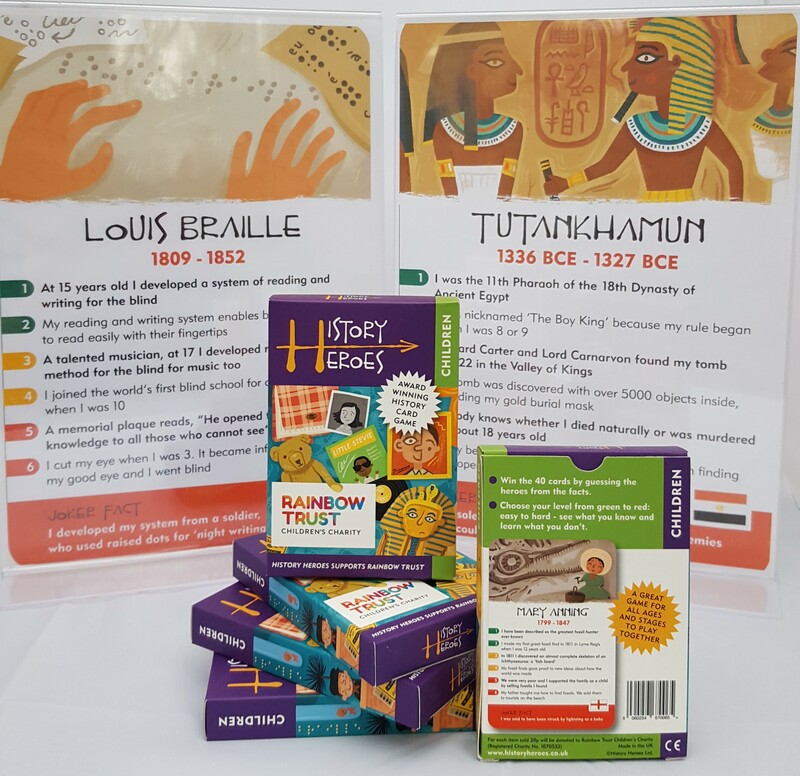 History Heroes: CHILDREN in history quiz card game Children includes individual cards of History Heroes’ forty children throughout history, who have helped change the world and the lives of those around them. 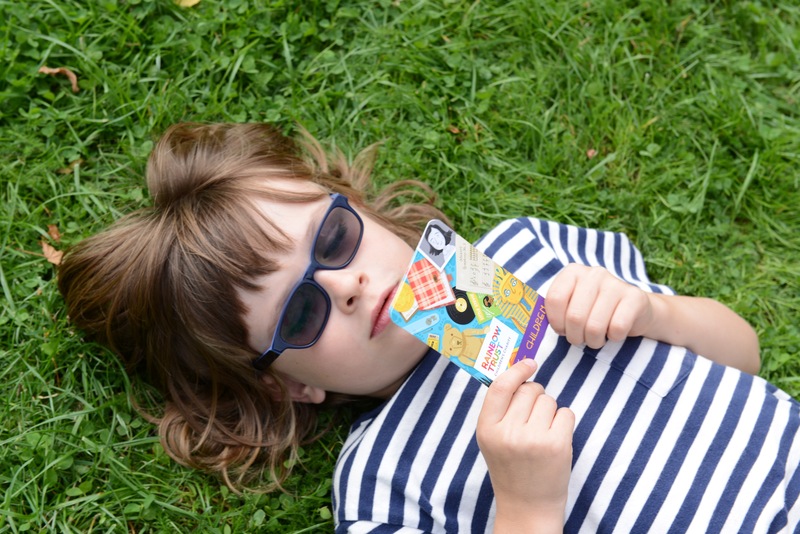 Each card is fantastically illustrated to represent the specific Child Hero and shows their dates, their flag of birthplace and seven memorable and often moving facts about them. 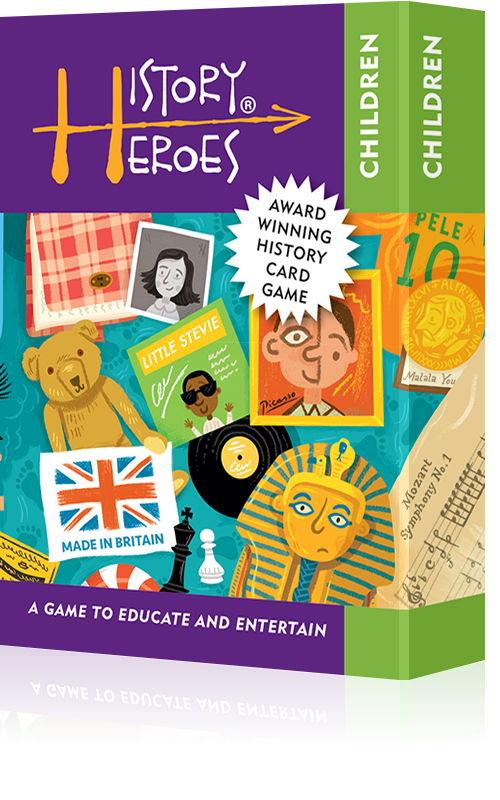 History Heroes’ Children range from leaders, such as the ‘boy king’, Tutankhamun, Joan of Arc and the Dalai Lama to campaigners, such as Malala Yousafzai, the nineteenth century Match girls and America’s civil rights campaigner, Claudette Colvin, who, aged 15, led her own protest on a bus against segregation in Alabama nine months before Rosa Park’s famous stand for equal rights. 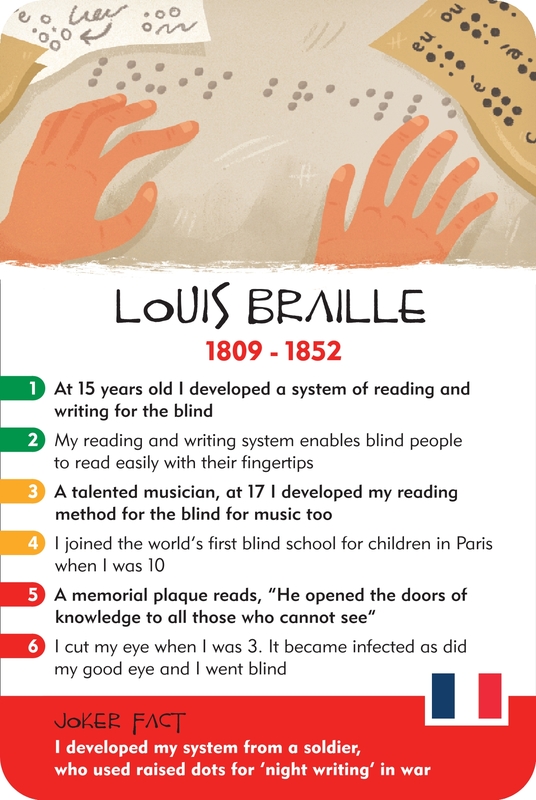 Child prodigy performers and artists such as Mozart and Picasso rub shoulders with Shirley Temple and Stevie Wonder. 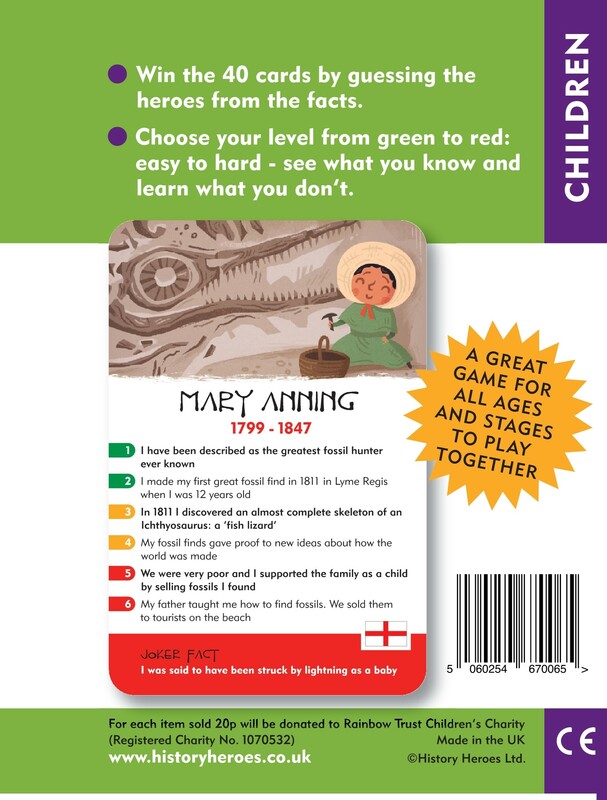 Children, who led extraordinary lives, such as Laura Ingalls Wilder, Helen Keller, Victor of Aveyron & Mary Anning mingle with Child heroes, who simply ‘made’ history: Lady Jane Grey, the Princes in the Tower, Victor of Aveyron, Louise Brown…the game contains an extraordinary, inspirational range of boys and girls in history. 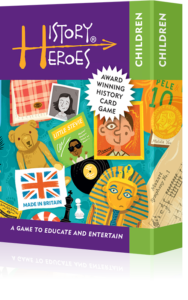 There are many different ways of playing History Heroes’ Children card game and you can make up your own rules as long as everyone playing agrees to them! The aim is simple: you win the game by winning the cards and you win the cards by guessing/knowing the facts. You can use the images as clues and you can use the different levels of facts to make it as easy or as hard as you want to play the game. 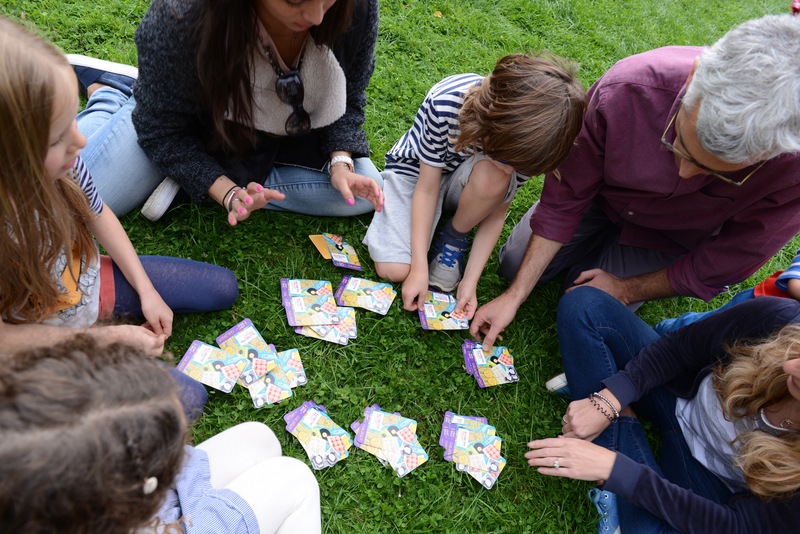 You can also play the game at different levels within the game so that all ages and stages can play together. The green facts are the easiest working down to the red facts, the most difficult. You can, of course, use the joker fact at the bottom, too, to overrule them all! Very good choice and I bought it in the summer fair at st.stephens. Loved it, all my friends do. Ideal for sleepovers, playdates and show and tell. ABSOLUTELY AMAZING!